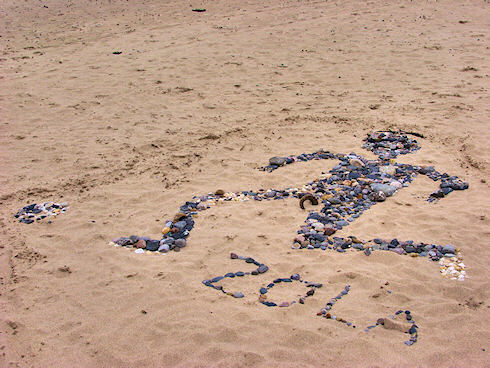 Someone created this tribute to Zola in 2003 at Kilchoman Beach in Machir Bay on the west coast of Islay. Zola had just finished his playing career in England then and was moving back to Italy. I still remember when he first came to England to play for Chelsea, a year or so after I had moved to the UK myself from Germany. Many of his goals were just brilliant, his smile legendary. That's why I couldn't resist posting this picture when I came across it again today. Simple as that.